This can be caused by configuring the Microsoft iSCSI Initiator on the Hyper-V host with a Target portal as the Default Adapter, and not assigning the Microsoft iSCSI Initiator as the Adapter, in circumstances where the operating system recognises cards in the server as being Hardware iSCSI HBA’s. We have a HP Blade server with two HP NC553i Dual Port FlexFabric 10Gb Converged Network Adapters - these adapters are Hardware iSCSI HBA capable. We are using the Microsoft Software iSCSI Initiator. We configure the Discover Target Portal with the Adapter as Default. We get the Event ID 133 Warning every 30 minutes, which is when SCVMM’s System Center Virtual Machine Manager Agent sends a refresh to the host, which triggers the two Hardware iSCSI Adapters to try a discover via SendTargets and they fail. What we should have done is configured the Discover Target Portal with the Local adapter as the Microsoft iSCSI Initiator. 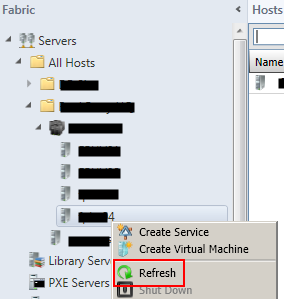 Test by doing a refresh of the host from SCVMM; does the Event ID 133 Warning occur? Another way to stop the error repeating every 30 minutes would be to stop the System Center Virtual Machine Manager Agent Service on the Hyper-V host; this is not recommended as stopping the service renders SCVMM unable to manage the Hyper-V host!